It is probable that the Knights Templar founded a Preceptory at Ballyhack in the 12th century. This may have been taken over by the Knights Hospitallers at Kilcloggan in the 13th century, after the dissolution of the Order. Ballyhack was in the Cistercian estate of Dunbrody Abbey and the tower house may have been built to protect it's fishing community and the ferry to Passage East. This is a five storey tower and survives to the wall walk. 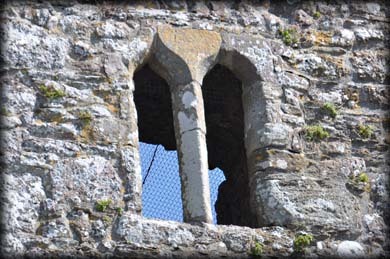 There is evidence of a bartizan at the south east angle, where the corbels are evident. 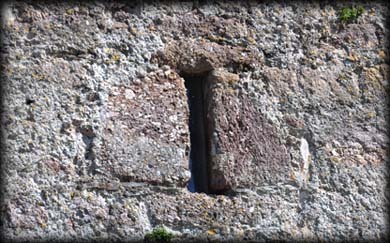 The entrance in the west wall is protected by a machicolation on the fourth floor and a murder hole on the inside. All the visibly dressed stone is of red sandstone. There is a fine base-batter on the northside of the tower. 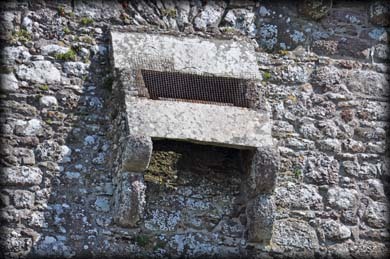 There are three chambers built into the northeast wall. One of these is a small chapel complete with a piscina, aumbry and altar shelf. The tower, which is only open to the public during the months of July and August, is built on the lower part of a steep sided valley. I am looking forward to paying visit during the summer period to see the small display on view inside the castle and get some images of the interior. Situated: From Wexford town head west on the R733. 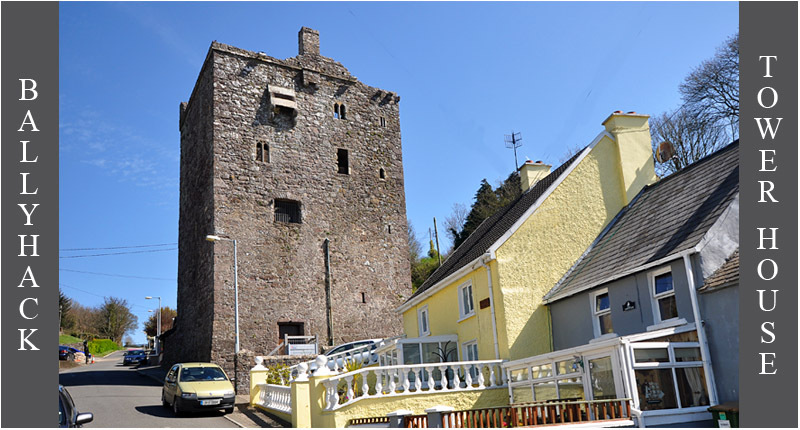 The tower house in situated in the centre of Ballyhack, just north of the slipway for the car ferry to Passage East. Discovery 76: S 7052 1096. Last visit April 2015.